To have particular and best articles of clothing in your storage room is the best bit of your character. The coat present before you is totally out of the world. Originator Womens Black Leather Quilted Biker Jacket is exquisite in style and an eye snappy outfit. 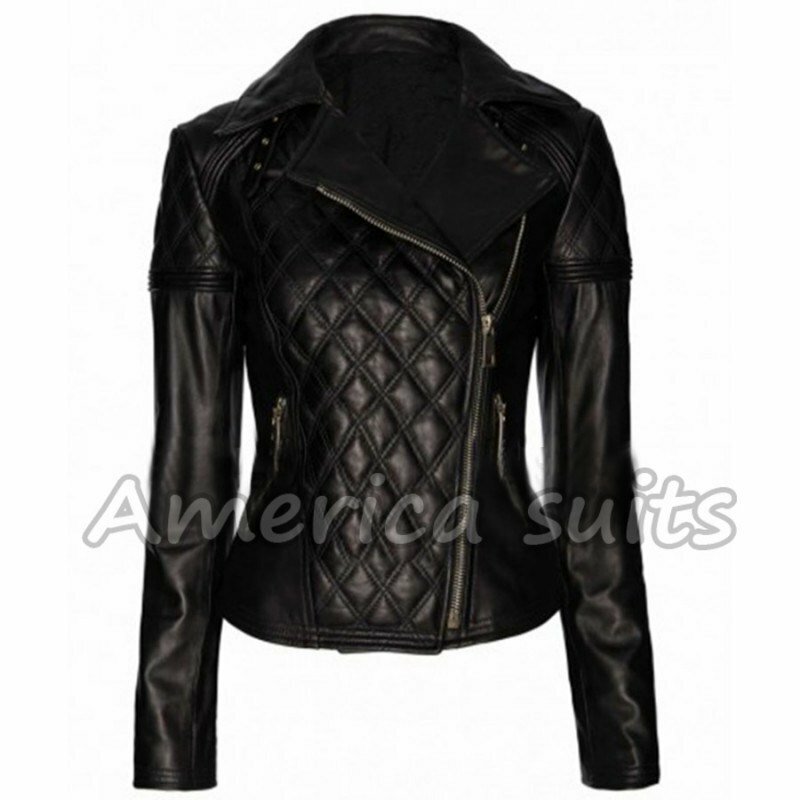 This delightful Women Black Quilted Biker Jacket is delivered utilizing fantastic Premium quality sheepskin which keeps you warm and gives you a pleasurable comfort to wear this Biker Black Leather Jacket. Stitched deviated board on front and back. Pockets: Two zipper pockets on the waist.